Kamikaze is the software distribution that runs on BeagleBone Black to control your 3D-printer. It is a Debian based distro, closely resembling the official BeagleBone image, but with some added software. Specifically, Kamikaze has OctoPrint, Redeem, Toggle and Cura Engine. 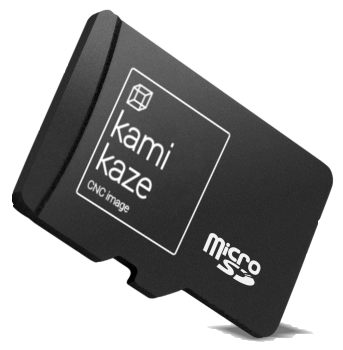 Kamikaze can be downloaded from the wiki, or you can purchase this micro SD card and installation will be a breeze!